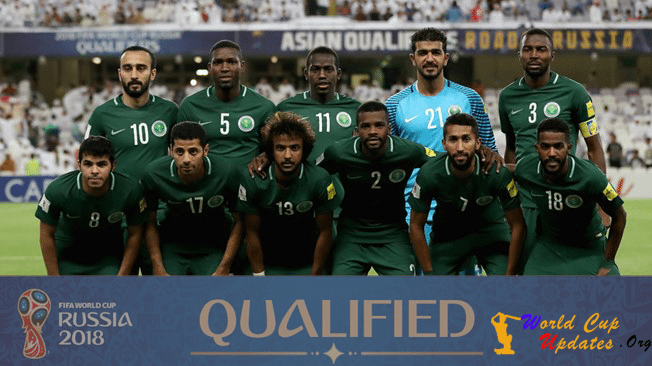 Saudi Arabia Team Squad For Fifa World Cup 2018 – Famously recognized as Al-Suqour (The Falcons), and Al-Akhdhar (The Green), Saudi Arabia is one of the most successful teams among Asian Football Teams. Team Saudi Arabia won Asian Cup three times in 1984, 1988 and 1996 respectively. After failing to be the part of 2010 & 2014 FIFA World Cup, Saudi Arabia qualified for upcoming FIFA World Cup2018. 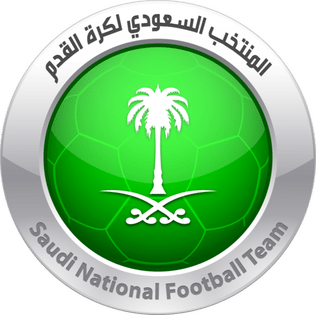 Here are more details regarding Team Saudi Arabia which are essential with FIFA World Cup 2018 coming soon. Saudi Arabia already appeared 4 times in FIFA WorldCups in 1994, 1998, 2002 and 2006. While the World Cup Campaign of 1994 is a huge success where they reached top 16, rest of the campaigns were not as successful as 1994. In other 3 World Cup campaigns Saudi Arabia finished in group stages. After Gap of 12years, Saudi Arabia is now back at FIFA World Cup 2018 and it will be interesting to see how they perform. FIFA World Cup is a dream of any National Football Team and Saudi Arabia is living their this dream for the fifth time in FIFA World Cup 2018. Saudi Arabia football fans would be hoping to get much more positive results in the upcoming event – FIFA WC 2018. The players who will shoulder these responsibilities are listed below. The players listed below is the probable Saudi Arabia Team Squad for FIFA World Cup 2018. 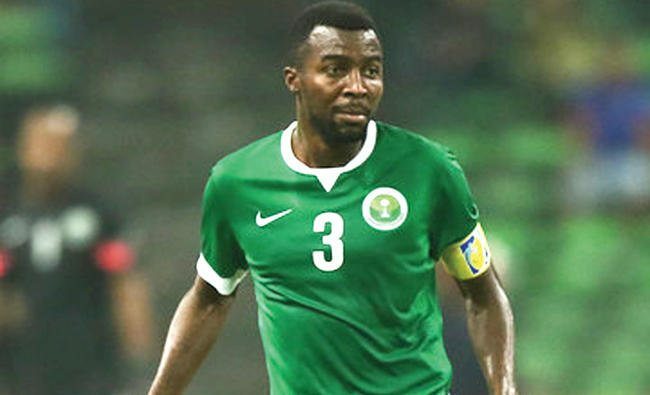 Osama Hawsawi will be defender as well as captain for Saudi Arabia Team in this FIFA World Cup 2018. He is a captain who leads by an example. The central defender is a handy player who has also scored goals at important moments. The Dutch manager Bert van Marwijk has been with Saudi Arabia since 2015 and the team has qualified under his guidance for upcoming FIFA World Cup 2018. Saudi Arabian football fans are excited after their qualification for FIFA World Cup 2018. Many people from Saudi Arabia would be looking for the schedule of Saudi Arabia in the opening rounds of FIFA World Cup 2018. But yet, FIFA is to announce the schedule for the FIFA WC 2018. Here we will share the upcoming Saudi Arabia matches, Saudi Arabia Schedule For FIFA World Cup 2018. Along with the schedule, fans can also book FIFA WC 2018 match tickets for Saudi Arabia matches. Every Nation’s people have their emotions associated with their Teams Uniform. 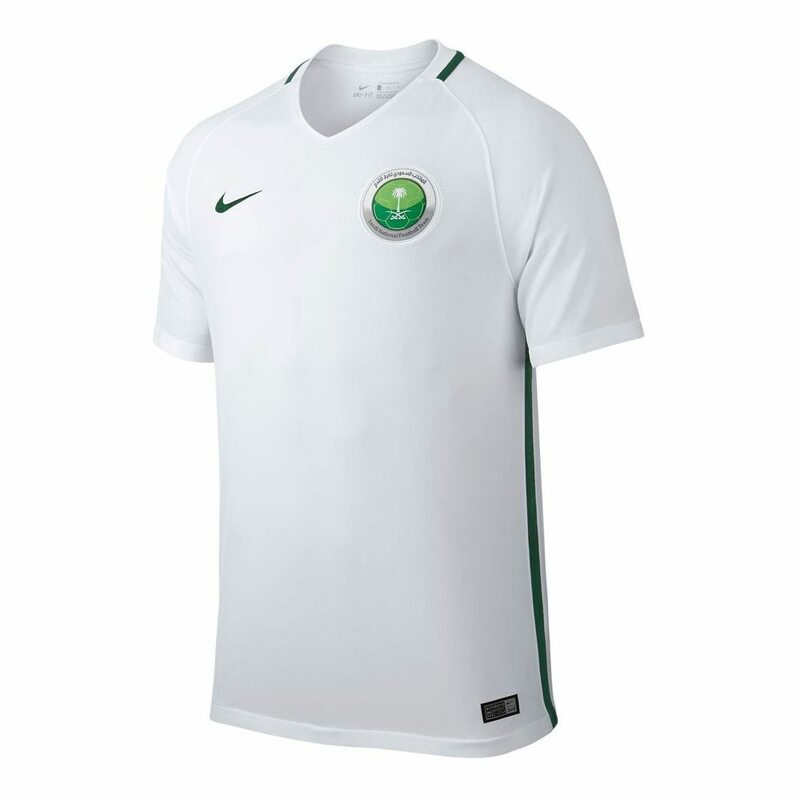 Saudi Arabia primary jersey is White in color with above-mentioned logo on left upper corner while secondary Saudi Arabia team jersey is green in color. Nike has been the kit manufacturer since 2011. How to Watch FIFA WC 2018 Live Streaming, Telecast Online in Saudi Arabia? This a huge moment for Saudi Arabia as their team qualifies for FIFA WorldCup after the gap of 12 years. Last time Saudi Arabia qualified for FIFA World Cup was during 2006. As people of Saudi Arabia are excited to watch their team into the mega event. Hence have also started searching for how & where to watch FIFA World Cup 2018 Live Streaming in Saudi Arabia. So here we are sharing the complete details of how you can enjoy Saudi Arabia matches live streaming in Saudi Arabia. In Saudi Arabia, Al Jazeera Sport has bagged the broadcasting rights from FIFA for the upcoming event. Football fan residing in any of the mentioned countries can enjoy the FIFA World Cup 2018 Live Streaming on Al Jazeera Sport. These countries include Algeria, Bahrain, Comoros, Djibouti, Egypt, Iran, Iraq, Jordan, Kuwait, Lebanon, Libya, Mauritania, Morocco, Oman, Qatar, Saudi Arabia, Somalia, Sudan, Syria, Tunisia, UAE, Yemen.